Ever wonder how Local Search Marketing (SEO) can increase your traffic to your website or store? We start building Local Search Marketing (SEO) Search Engine Optimization into your website from the construction of your new website or website redesign, ensuring SEO is built from the ground up. Campaign Monitoring: We monitor every local SEO campaign to identify areas of improvement. We also provide monthly updates to your local search marketing performance to ensure your goals are being met. If you’re not being found on the search engines or you want more visibility and more traffic you must get found on page one, in the top 5 spots. 70% of all clicks happen here. You could hide a dead body on page two. It's simple if you can improve your local ranking to at least get on the first page for your most relevant content and keywords with products or services you provide, your traffic will increase and so will your sales. If your local SEO is consistent and it has relevance for what potential clients are searching for, you're going to get high search engine results. VFM Local Search Marketing (SEO) is all about the end user and the experience you give your potential clients. We are constantly increasing your local SEO whether that’s by page content optimization, blogging, page building, link building and/off-site tactics. We ensure that the entire local SEO foundation is laid before we go into doing additional SEO work which includes building out the additional content. We don’t just look at the page content for local SEO but we look at the title tags and the meta descriptions. We look for any room for improvement within google rankings. This is really important to us and it has an endless amount of opportunity for our clients to grow in local organic search. Because we focus on marketing strategy, in the beginning, we have a higher success rate with our friendly local SEO program. Most importantly we will help get you the highest possible listings on all of the major search engines with a professional search engine optimization strategy. So, what is Google looking for in your SEO? Consistency and relevancy. By adding new content on a regular basis we can get google to crawl your website more often. Which will, in turn, increase your visibility and move your company up in local organic search rankings on search engines like Google, Bing, and Yahoo. Ranking higher on the search engines for keywords is becoming increasingly difficult because of the updates Google has made. We always do the best SEO “white hat” practices that are going to drive your company up the search engine rankings. This will drive higher quality traffic than traditional SEO keyword efforts performed by a website company or marketing agency because we are intentional and consistent with content writing and blogging for SEO. Vision Force Marketing does more than just try to get your business ranking for the merit of organic keywords that may or may not drive good traffic. 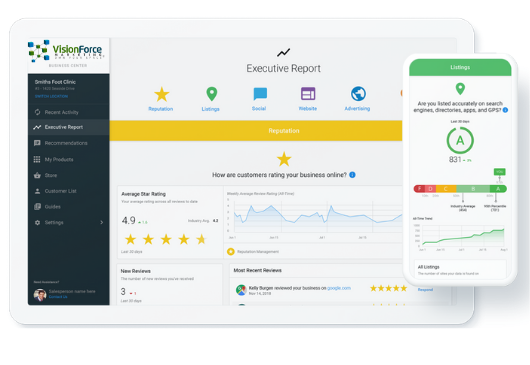 Complete transparency and measurable results: Our powerful VFM reporting dashboard shows you exactly where your businesses SEO dollars are going. In a lot of SEO programs, you don’t know what is being done and how effective it is. In our VFM Local search and National Marketing Search program, you have full transparency of the work being done through our software that you can access anytime. SEO is a never-ending endeavor. When you make it to the first-page organic search you’ll want to stay there. The companies on the first page are winning the search engine optimization game and getting all the new customers. HOW DO YOU DETERMINE WHAT IS THE BEST SEO CONTENT TO CREATE? First before any website, SEO, PPC, logo, brochure, or marketing project we work with you on your overall marketing strategy with you and your top advisers to get the right SEO marketing map for your Local Search Marketing Program or your National Search Marketing Program. We have one team that’s dedicated to progressing through the actual growth of your website. One person is going to be assigned to your account so they will be able to grow with the account. If we are not seeing the progress we can analyze what needs to be done in order to get higher rankings. We have experience second to none we have been working with over 26,000 businesses and over 61,000 keywords. 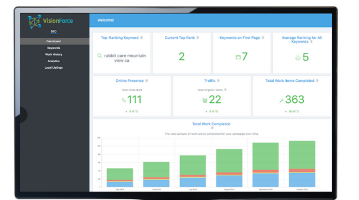 We track and monitor keywords and can drive massive results. We’re helping over 26,000 businesses boost their search rankings and we manage over 61,000 keywords. 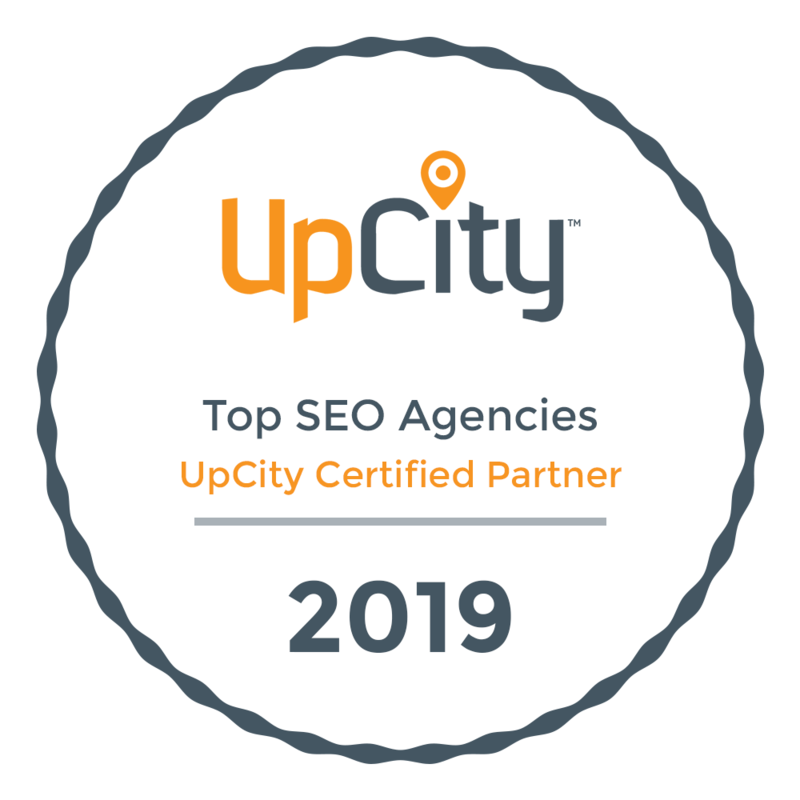 This experience, coupled with our industry-leading technology, gives us access to vast amounts of data that keeps us ahead of other SEO providers. 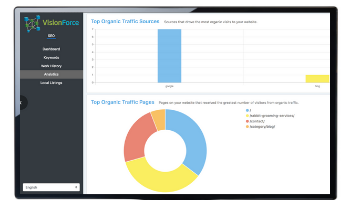 Our powerful reporting dashboard shows you exactly where their SEO dollars are going. 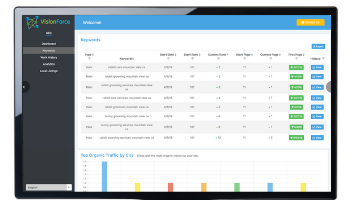 We monitor every SEO campaign to identify areas of improvements. We also provide monthly updates on campaign performance to ensure your goals are being met. SEO is a never-ending endeavor. When you make it to the first page of the organic search you’ll want to stay there.